AFRICAN AMERICAN REPORTS: VIDEO: Hillary Clinton speaks with Black Lives Matter leaders. 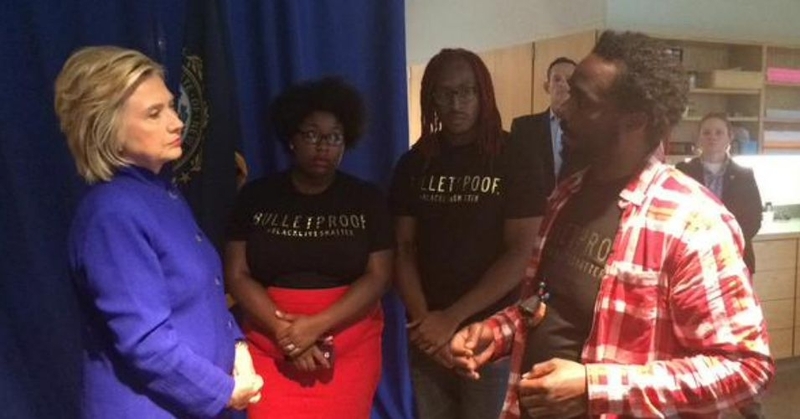 VIDEO: Hillary Clinton speaks with Black Lives Matter leaders. Here is a 8 minute video of part of the exchange between Hillary Clinton and members of #BlackLivesMatter at a campaign rally in New Hampshire. 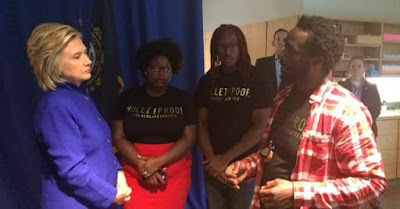 Clinton meets with #BlackLivesMatter protesters after they were barred from her event. Watch as Clinton responds to several tough questions.